Using the clues, fill the tray with all nine chocolate pieces in their correct positions. Similar to Sudoku, you must examine all clues on the challenge card before making a move. You will feel your confidence build as you narrow down the possibilities to complete each challenge. 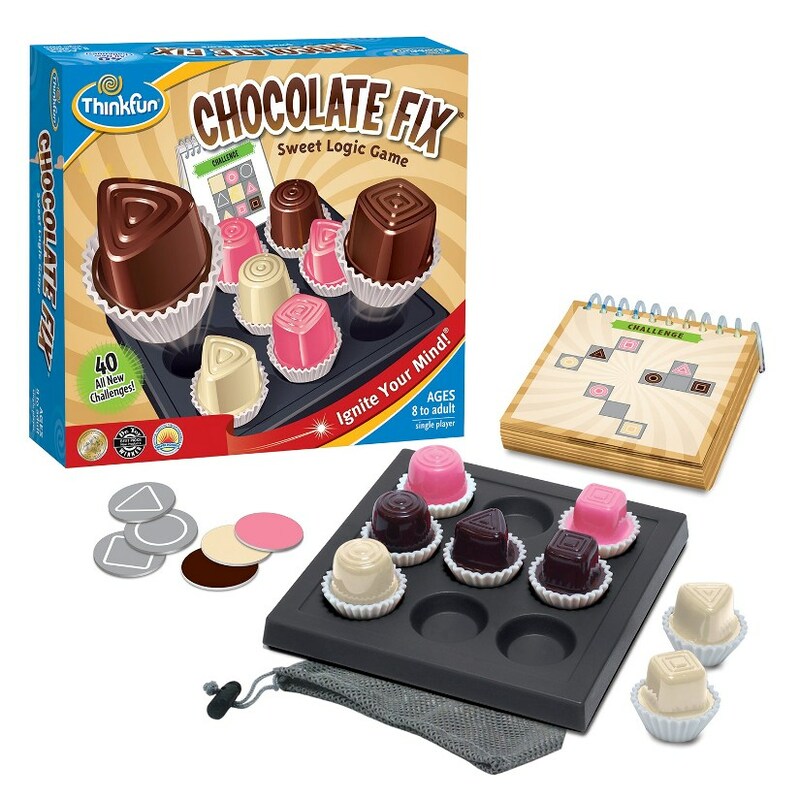 With 40 new challenges ranging from beginner to expert, Chocolate Fix will feed your chocolate cravings for hours! Awards: ASTRA Best Toys for Kids List 2008, Parents' Choice Gold Award - 2008, Learning® Magazine 2009 Teachers' Choice Award for the Family. This product was added to our catalog on 17.07.2008.